In her 40-plus-year career, Bunny Williams has become one of America’s preeminent designers, known for spaces that are classic, livable, and thoughtfully eclectic. 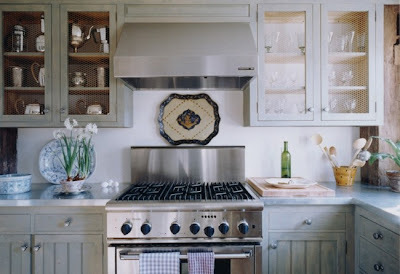 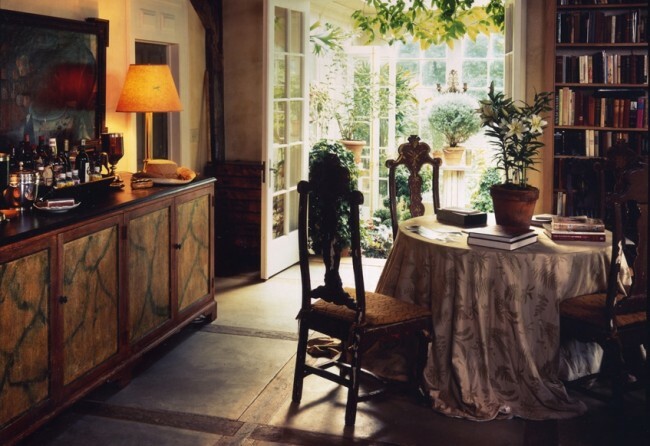 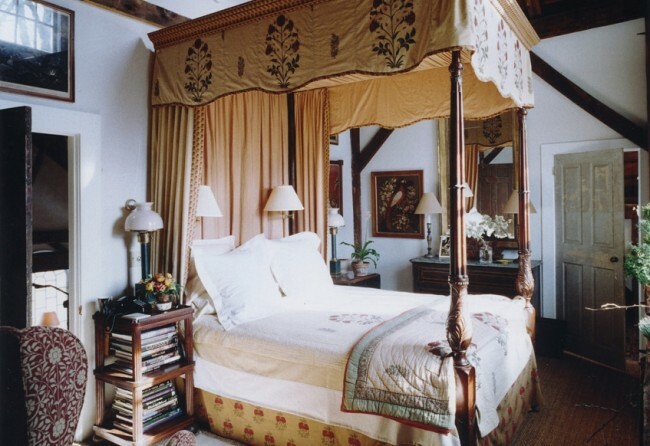 Having started with the iconic Parish-Hadley in the 1960s and branched out on her own in 1988, she has hit on a non-formulaic formula of decorating that mixes antiques and modern pieces, high-end custom décor and flea market finds in a way that seems comfortably cluttered and worldly, but never pretentious. 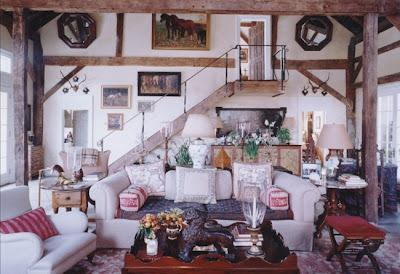 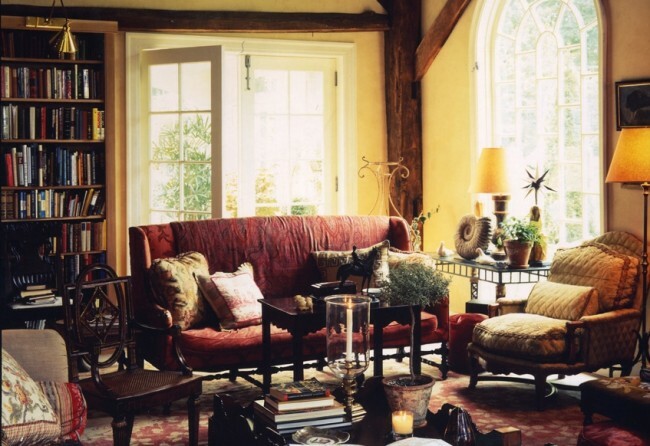 Which is why we we’re smitten with Bunny’s own Connecticut home, a study in how to make the rustic and the regal play nice-nice together. 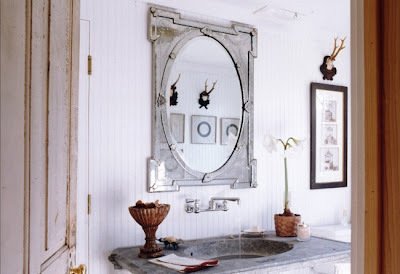 From the antique rugs and fabrics to the perfectly placed mirrors, the mismatched lamps, the subtly echoed shapes, and the crazy-cool mishmash of decorative objects (horned game heads, giant seashell sculptures, glass hurricane lamps, English china, and a profusion of plants, anyone? ), we’re happy just to sit back and take it all in. 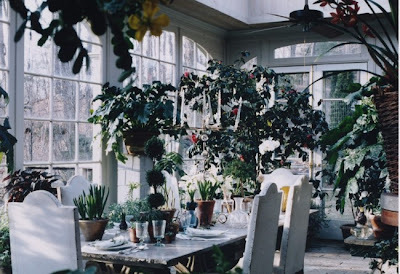 Don’t forget to hop over for a look at Bunny’s Beeline Home line of accessories, furniture, upholstery, and more, or her garden paradise shop, Treillage, which now sells online.